Our furry family members are important. Check out our HVAC tips for pet owners to help the air quality for all your family members. There are around 80 million pet owners in America. Beyond the daily needs of the animal, including feeding, grooming, and positive attention, there are some additional responsibilities of having a pet. One of those responsibilities is maintaining the air quality inside of your home. The general standard for people who live alone with no allergies or pets is to change out the air filter every six to twelve months depending on the size of the home. However, if you have one dog or one cat that walks around and creates dander, the standard is to change the air filter every 60 days. If you have multiple pets or anyone in the home suffers from allergies, then you should be changing the air filter every 20 to 45 days. There are air filters that are built specifically to capture pet dander and limit the recirculation through the home. Ducts are an intricate part of the HVAC system. Pet dander can settle within the ductwork in the home like dust and other airborne allergens. So, make sure you have an HVAC professional to look at your air conditioner and heating source on a yearly basis. As a pet owner, you want to make sure you are getting your air ducts cleaned on a regular basis. This will help with the air quality in the home. Consider purchasing an air purifier for your home. The air purifier will help with cleaning the air that has recirculated through the air filters and the ducts. It is actually inside of the home so it can make an immediate impact on the cleanliness of the air. Plus, it can reduce allergic reactions such as itchy eyes, runny noses, and sneezing. 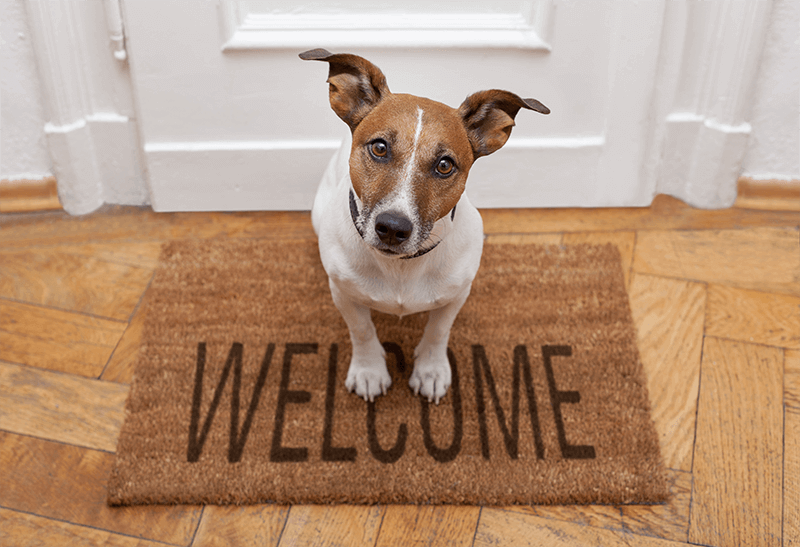 Before you get your new family member, do your research and check out some HVAC tips for pet owners. You can actually get dogs and cats that are hypoallergenic, or ones that don’t shed too much. If you are someone who loves animals but struggles with the pet dander, you may want to reconsider the type of pet you get. Perhaps a bird, fish, or reptile may suit you better. Overall, you need to know your options and gather as much information about the animal as possible including its effects on the air quality in your home.